Have you ever heard of the application called GNUBOX which helps you use your laptop/desktop’s internet on the phone via Bluetooth? It’s quite a lengthy process and most people generally give up trying. However there is a much easier way to share the internet and make it available for our wifi enabled phone. Now, while you can buy a router and make this infinitely easier, guest author Jamal Abid decided to do it the harder way, WiFi connectivity without any router and in the process helped me and i hope a lot of others save money. I dont know if you already know how to get this thing working, but those of you (like me) who didn’t know, what follws is a pretty detailed tutorial. In this write up he explains how to quickly and conveniently set up internet sharing without the need of any complicated applications or a WiFi router. It is nothing complex, just a series of very simple steps you need to follow exactly. WARNING: I have only gotten it to work with no network security. Don’t use this in areas where other devices may connect to your computer to browse the internet. Other people may carry out illegal activities through your computer causing you to be made liable. I shall not be held responsible for any harm that comes to you as a direct or indirect consequence of your usage (correctly or otherwise) of the following steps. GUIDE for Windows XP is here. b) An N95 or Any Other phone with WiFi 802.11b/g compatibility. 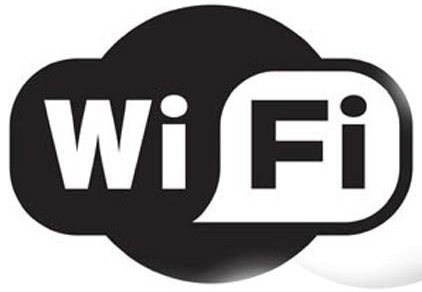 01) Turn on the WiFi switch on your laptop and make sure the WiFi light/indicator/whatever is on. And make sure you are connected to the internet. 03) In the small window thing that pops up select Network and Sharing Center. 04) Click on manage wireless networks. 05) Click on Adapter properties (windows coloured shield icon) in the actions bar roughly 1/3 of the way down. 06) If your UAC is on, click continue. If not you won’t know what I’m talking about, just move on. 07) Click on “Internet Protocol version 4 (TCP/IPv4). 09) Select use the following IP address: and if there is another 192.168.0.x address and subnet mask already in there, just leave it alone otherwise enter the IP address as 192.168.0.1 and the subnet mask as 255.255.255.0 leave the default gateway blank. 11) Close all dialogs and return to the desktop. 12) Click on two monitors on the bottom right (in the system tray inside the taskbar) again and select “Connect To a network”. 13) In the window that pops up, right click your internet connection and select properties. 14) Go to the Sharing tab. 15) Enable the “Allow other users to connect to through this computer’s internet connection” and in the “Home Networking Connection” box select “Wireless Network Connection”. 16) Now click on the settings button (if the UAC prompt pops up, press continue). 17) Enable the HTTP server and HTTPS server. If you want to receive/send email on your phone using any application other than the phone’s web browser, enable the POP3, IMAP4 and SMTP servers. Make sure not to enable too many, the more you enable the more chance there is of your computer getting broken into by hackers wirelessly. Especially unnecessarily enabling the SMTP is a no-no. Just use Gmail. Never enable the Remote Desktop or others unless you want someone to wirelessly access your desktop (and the whole computer by extension). 18) Close everything else and return to your desktop. 20) In the small window thing that pops up select Network and Sharing Center. 21) Click on manage wireless networks. 22) Click on Add (green plus icon) in the actions bar roughly 1/3 of the way down. 23) Click on Create an ad-hoc network. 25) Enter a network name. I entered N95. 26) In security type, select no authentication (open) <– hopefully in the future I’ll get a secure network to work. 27) No need of selecting save this network. Click Next. 28) Hopefully your ad-hoc (direct) WLAN network has been set up. Close everything else and return to your desktop. 1) Press center button on the “WLAN scanning off” link. 2) Your phone will now hopefully find your WiFi network. Press the center button on “Network Name Found” link. That’s it really, the phone’s really nice, it configures itself automatically but it is Windows that took almost all the effort. 03) Find your WiFi network name and click it. 05) Close everything else and return to your desktop. I really hope it works out for all of your as it did for me. Making VOIP calls via the phone was never easier! Any suggestions, comments or feedback is greatly appreciated! Can you pliz find out how to set this up on windows xp. and i am also connected to an office network thru ethernet, its my connection to the internet. it keeps on telling it change the ip address of my LAN but i dont want that. Pliz advise. Pingback: rodrigostoledo.com » Nokia N95 / N80 / N93 - Veja como utilizar a Internet WiFi do PC - Tutorial em Português!!! cn u tell me wat 2 do? Any idea with I-phone???? can it connect to wireless without router??? This should work with an iPhone too.. In fact…..it doesnt……………can anyone give me some directions……….i am so lost……………….. Please help, on Vista when u open LAN properties there is no sharing tab!!! Hi to all from Rome. I kind of crazy question. Do you have ane notice about the reverse. I mean, it would be nice to have the phone share its connection. In some cases it would be possible to create a small lan with no wires such on out of office work places. Any pc (maybe mac filtering and WPA2 would be wise) could have its shared modem/router without having to install all the PC Sync stuff, no matter being Win, Lnx or Mac. Maybe this already exists, eventually do you have any notice? Yes its possible, joikuspot. Just found and works greatly, some security concerns, howether not much less than using win ics. Its probably of no use to me because my laptop’s data card connection is more expensive than my mobile’s internet connection! so i use it the other way round. I make my phone a wi fi router and use my phone’s internet to surf net on my laptop! if you have the similar need, you can probably give Joiku a try. http://www.joikusoft.com it has a free variant and comes with key option also. you can simultaneously run your laptop, ipod and all gadgets on one connection! !